It is critical for businesses to be diverse and to be appreciative of the diverse and varied cultures that can be found in today's world. Diversity training in the workplace is often done to help people in any office or work situation understand the needs of others. It focuses on cultural awareness and prevents civil rights violations, thereby, encouraging a strong teamwork. This is crucial to the long-term success of any workplace that wants to go far and do more. A plan for diversity training in the workplace can be set up properly if a series of simple rules are established. These rules may help with the purpose of getting more employees to feel productive and ready to work with anyone at the office, regardless of their backgrounds. 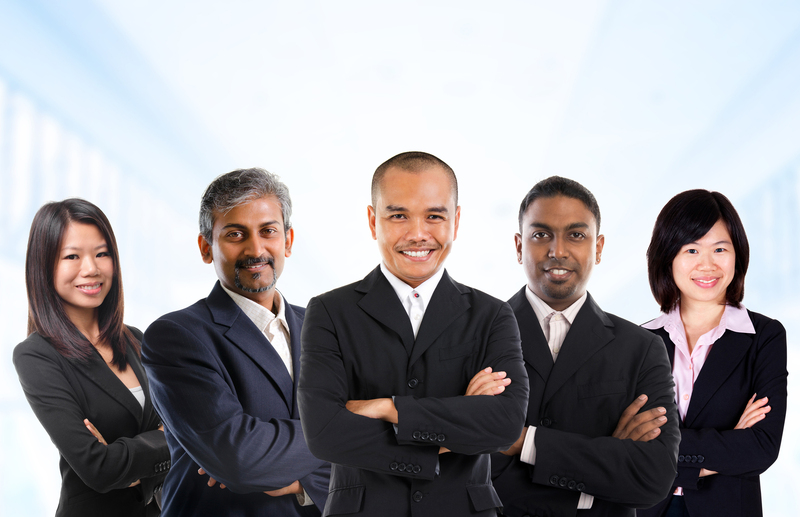 Accepting and respecting each employee from diverse cultures. Avoidance of any form of ethnic and cultural disparity in the workplace. Dealing severely with gender inequality. Show tolerance towards impulsive fresh recruits and old-school seniors. According to Glassdoor Diversity Hiring Survey, 57% of the respondents feel that their company should be doing more to increase diversity among its workforce. Further, a report on ‘Diversity Matters’ by McKinsey, states that companies enjoying uniformity in racial and ethnic diversity are 35% more likely to have financial returns above their respective national industry medians. On the other hand, American Sociological Review highlights that companies reporting the highest levels of racial diversity enjoy 15 times more sales revenue than those with the lowest levels of racial diversity. The above statistics authenticates the importance of encouraging diversity training in the workplace. However, several points have to be used in the diversity training process ensuring that it moves along as smoothly and carefully as possible. These concepts are used in the training process to get everyone on the same page. Introduce an open-door policy in the diversity training process to help people talk easily to their managers about workplace diversity issues. Also, such policies aid managers in addressing similar issues as and when needed. This may help in giving the employees a better overall understanding of the workplace situations they are likely to be placed in the near future. How to avoid certain groups of people. Regular training on harassment is also a must. This entails full discussions on points that are safe for addressing in the workplace and those that are not safe for any particular reason. Similarities can be a good point to discuss. Those, at the workplace, who are able to acknowledge their similarities and can get beyond any differences that they may have will certainly help in creating a great workplace. Training programs help to challenge the stereotypes that people have. Stereotypes are extremely dangerous if not tackled well. People are led into discussions about these stereotypes. It is important that such stereotyped ideas are discussed and dealt with severity as it plays a major role in creating a negative atmosphere in the workplace. It is especially important to focus on every single aspect of diversity in the workplace. These include points on gender, religion, sexual orientation and even physical ability. All people have their own particular traits and it is critical for workplaces to be fully observant of the fact that different types of people exist. If a diversity program takes a closer look at each person and how they can vary by one another in any workplace. Are you planning to introduce diversity training at your workplace? All of these points are included in typical diversity training programs to educate people about how different types of people can work in any environment. This can be critical to the overall welfare of anything that may go along within a business and can be critical for all to explore. Diversity training can be important for any workplace. If the training process is run the right way then it should be easier for a business to thrive and become more inclusive of as many people as possible without creating any threats involving a lack of support for other people in the workplace. Previous What Is Diversity Training?